Today on My Poetic Side we take a look at the gift of poetry that has been donated to high schools in Belfast. We also have a short article about a poet’s house that has been burgled and finally, we look at the poet Faiz Ahmed Faiz on the occasion of his 108th birth anniversary. We reported last month that the Belfast poet Pádraic Fiacc had passed away at the age of 94. Now the educational charity Verbal Arts are hoping to introduce his poetry to a new generation of would-be poets with a donation of copies of “Ruined Pages” – his selected poems. In total, 50 secondary schools throughout the region have been chosen to receive the books. 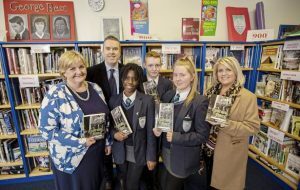 Supported by the Arts Council of Northern Ireland, together with the Education Authority, the books are a gift from the “Lagan Press” – the charity’s publishing imprint. Although Fiacc lived much of his formative years in the USA he was born in Ireland and he returned later in life. He is perhaps best known for his works on the Troubles. His contribution to Irish literature is significant and was recognised in 1981 when he was elected a member of Aosdana – an Irish association of artists. He was also honoured in 2012 by Belfast City Council for his work with a special reception that took place at City Hall. Described by the Arts Council as “one of the most distinctive poets of his generation”, this bequest of poetry books is given in the hope that it will not only keep alive the memory of Fiacc but also, perhaps, inspire a budding poet. 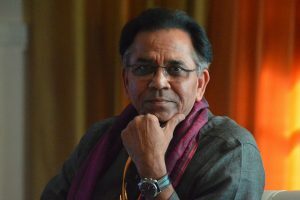 The southeast Delhi home of the poet Ashok Chakradhar was burgled over the weekend and jewellery was stolen. The poet, together with his wife and daughter, had been attending a function at the home of friends when the incident occurred. They returned at midnight only to find that the door had been forced. The house was empty, the door to the cupboard where the jewellery was stored was open and the items were missing. The police are looking into the incident and examining CCTV footage from the area in the hope of identifying the culprits so they can make an arrest. At the moment there are however no clues as to who the thieves might be. Yesterday the birth anniversary of the poet Faiz Ahmed Faiz was celebrated. 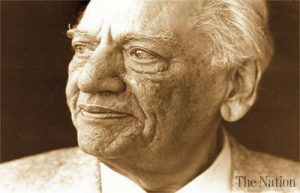 Born in Sialkot, Pakistan in 1911, Faiz was the first Asian poet to receive the Lenin Peace Prize. This award from the Soviet Union, which he received in 1963, was their equivalent of the Nobel Prize. He also received a number of other awards during his lifetime including the HRC Peace Prize, the Nigar Awards and the Avicenna Prize. He was married to a British National and both his wife and their two daughters had a huge influence on his poetry. His poetry was also heavily influenced by the four-year jail sentence he served for his conviction of being involved in an attempted coup conspiracy. THE " LENIN PEACE PRIZE " = ? THE " NOBEL PEACE PRIZE " = ? COMMUNISTS / SOCIALISTS* !~ WHAT " PEACE " ! YOUR JOKING* - RIGHT* ? BOTH LENIN & NOBEL* = ANYTHING AT ALL BUT* PEACE ! ONE A COMMUNIST DICTATOR* KILLER* : THE OTHER* - AN ARM$* MANUFACTURER* & INVENTOR* OF " DYNAMITE ! OH* I SEE * THIS GUY HERE was MARRIED to A " BRITISH " NATIONAL* ! THAT'S WHY HE'S in THE " POETS " GOOD OLD BOY$ CLUB* ! ALWAYS PAY$* to HAVE GOOD - POLITICAL* / ROYAL* - CONNECTION$ ! UHA !